Gone are the days of paying high cable bills for a bunch of channels you don’t watch. Content streaming sites like Netflix and Hulu have seen skyrocketing success in recent years as viewers now prefer to binge-watch their favorite shows. More and more customers want to watch television on their schedules but don’t want to sign contracts with the only cable provider available in their area. As a result, many people are choosing to cut the cord and live without cable — but not without television. Though cable companies typically have the edge on channel diversity and program quality, they have been forced to adapt to this new style of content consumption in a number of ways. Below we explore the top five reasons you should rethink cutting your pay-TV service provider’s cord. As competition and cord-cutting increases, companies like Comcast® and Time Warner Cable® are lowering their prices and diversifying their packages to provide options for cost-conscious consumers. They now offer basic packages for customers who don’t want the frills and expense of all-inclusive bundles. In addition, companies like DISH® have implemented TV price guarantees, so customers know that getting a good deal today won’t land them with a more expensive bill in the future. Streaming services require an Internet connection, which means cutting the cord may not be as cost-effective as many think. Cable companies offer a number of TV and Internet bundles that may cost less than the price of paying for both stand-alone Internet and multiple subscriptions to various streaming sites. Pay-TV providers distribute exclusive content like hit HBO® shows “Game of Thrones” and “Girls” through HBO GO®. Customers can simply add HBO GO to their pay-TV subscription and have instant access to HBO On Demand wherever they are and whenever they want. Alternatively, XFINITY® customers in select cities can sign up for Stream TV, which offers networks like HBO, ABC®, CBS®, and PBS® for just $15 a month. Sports channels like ESPN are hugely popular, and watching live sporting events remains an attractive reason for sports fans to stick with their pay-TV providers. Without a pay-TV subscription, you may not be able to keep up with your home team’s games or watch out-of-market matchups, as regional sports channels usually have exclusive rights to local games. Cable companies are giving their customers more options for how to consume content. Apps like Comcast’s XFINITY™ TV Go allow subscribers to stream television and movies from anywhere on their mobile devices, giving customers more on-the-go programming options than Netflix or Hulu. The DIRECTV® App offers TV Everywhere — a popular method of watching television that increased in viewership by 63% in 2015. Customers also ranked DIRECTV® first for satisfaction, which is a good sign for current and prospective customers. 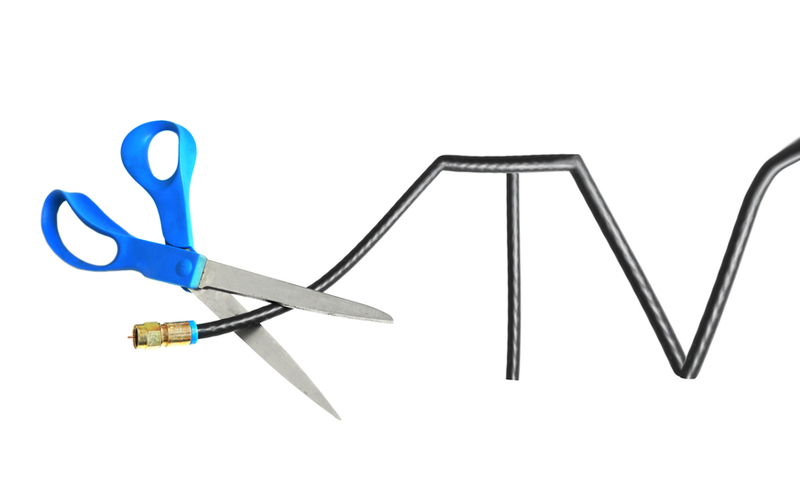 While cutting the cord may be popular right now, it’s not for everyone. Customers who enjoy a wide range of content may pay more for subscriptions to streaming services than they would for a TV and Internet package. Consider streaming apps offered by pay-TV providers before you rush to cancel your pay-TV subscription. *Pricing and speeds are current as of writing. Pricing and speeds are subject to change. Not all offers available in all areas.